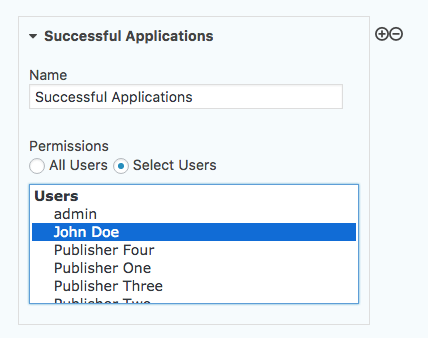 The Gravity Flow Folders Extension allows Gravity Flow administrators to organise entries into logical groupings and present them in a list like the status page. 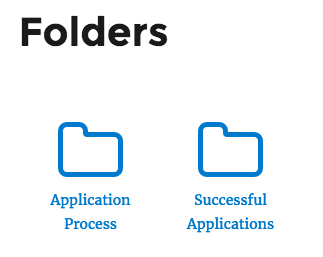 The Folders page can be access via the admin UI or in the front-end using the shortcode. Here's what the folders shortcode looks like in the front-end. The colours are defined by the theme, in this case Genesis. Here's what an open folder looks like admin UI. The front-end shortcode looks very similar. 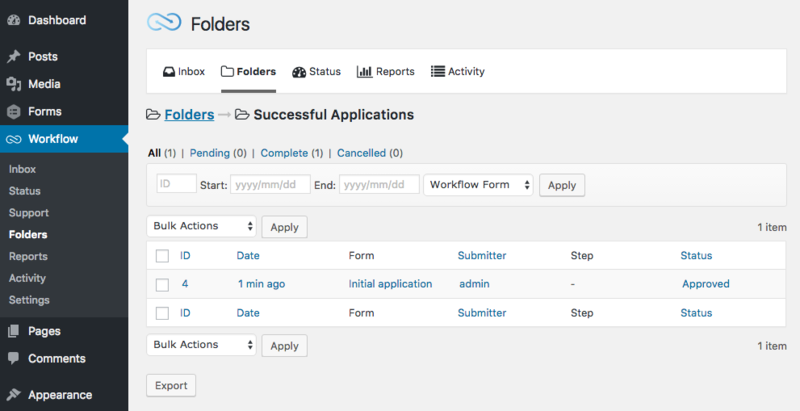 Folders can be managed on the Folders tab on the Workflow settings page. 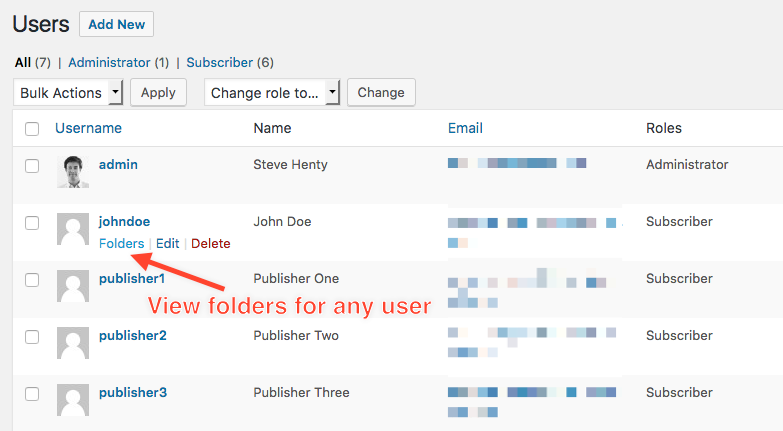 Folders can be assigned to either all users or selected users or roles. The following folder configuration will add a folder visible only to the user 'John Doe'. IMPORTANT: any user who has access to the folder will have access to all the entries inside it. Entries are only added to an entry list folder only when an "Add to folder" step is triggered. Entries can be added to folders using the "Add to Folder" step. 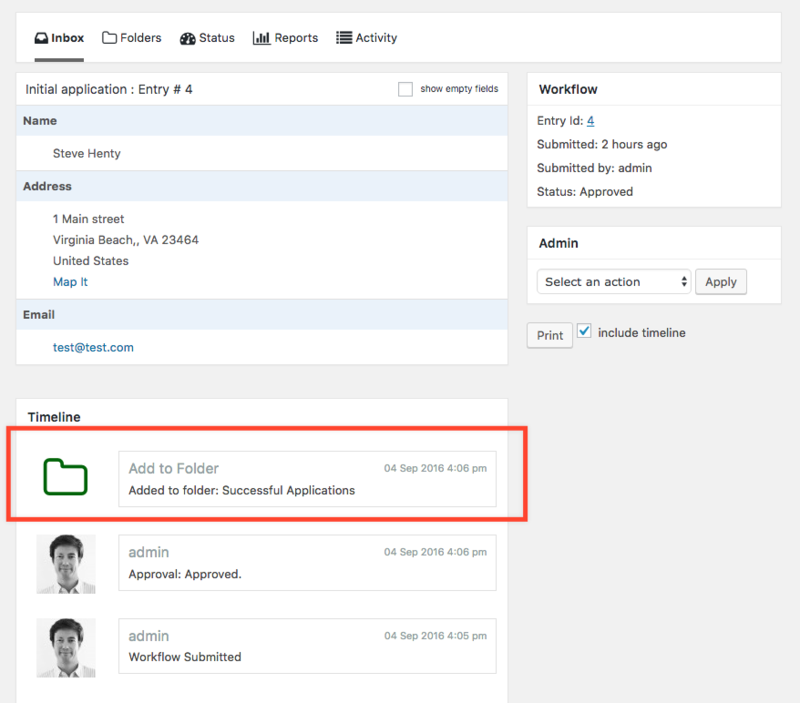 Select the "Add to Folder" step type and then select the folder(s) from the list of available folders.When an entry is added to a folder it will be reflected in the entry's timeline. Entries can be added to multiple folder. Entries will stay in the folder until they are removed. Entries can be removed from folders using the "Remove from Folder" step. When entries are removed from a folder a note is added to the timeline. 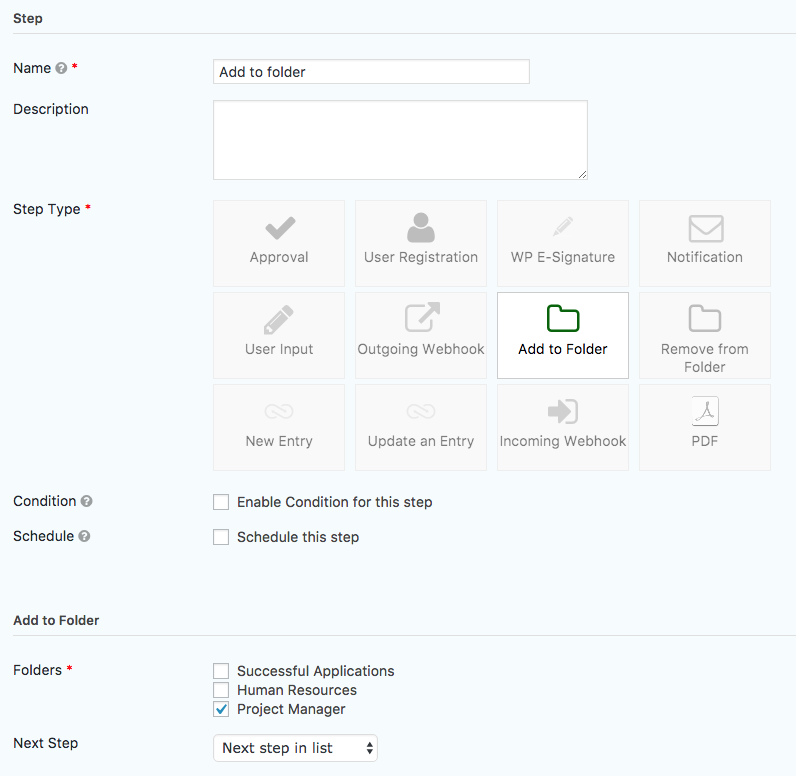 Entries can be added to folders or removed from folders from the admin actions on the entry detail page. Requires the gravityflow_workflow_detail_admin_actions capability. Note: the Folders shortcode is based on the status shortcode so the same attributes available for the status shortcode are available for the folders shortcode. 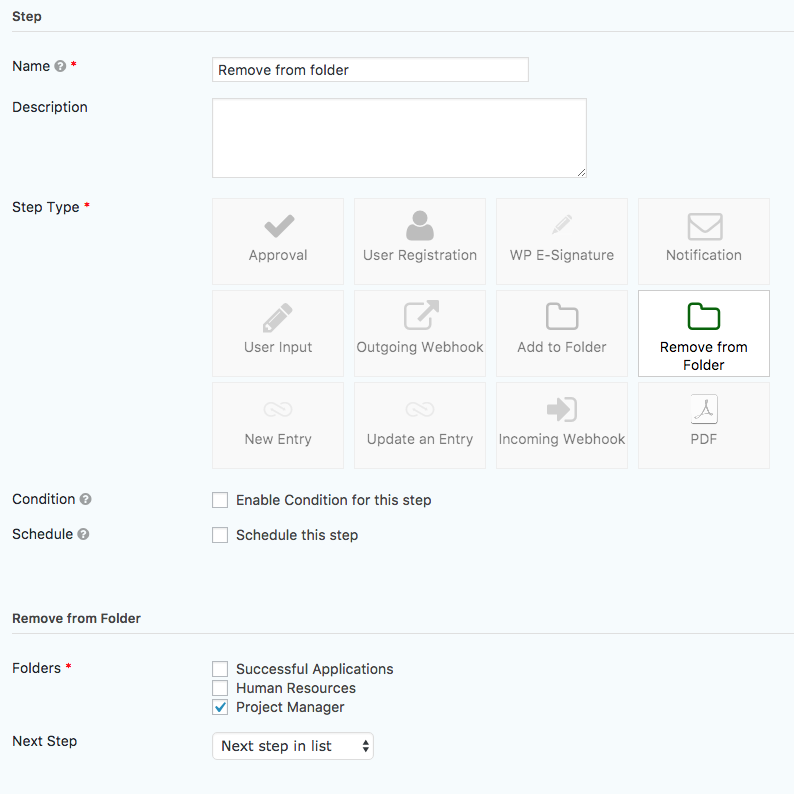 Admins with gravityflowfolders_user_admin capability can view the folders, and all the entries in the folders, of all users via the WordPress Users admin menu.